This Christmas candle is Winter 2, found in the Winter Collection at Fitztown. I colored the image with Copic markers. The edges are inked with Tim Holtz distress inks -- Spun Sugar and Tattered Rose -- while still in the Spellbinders Label 17 die. Card base is 5 1/2 by 4 1/4 and is Ruby card stock by Close To My Heart. Designer papers are Echo Park Home For the Holidays 12x12 papers. The ribbon is from Really Reasonable Ribbon. The sentiment is from Close To My Heart. Join us this next 2 weeks for the "red and green with a digital image" challenge at Fitztown. It's Saturday! I hope you all survived Black Friday yesterday. I stayed out of the stores and did some crafting instead. I don't like crowds! These digis are available for Crafting Station Club members. You can try the membership for the first 2 months for only 99 cents! 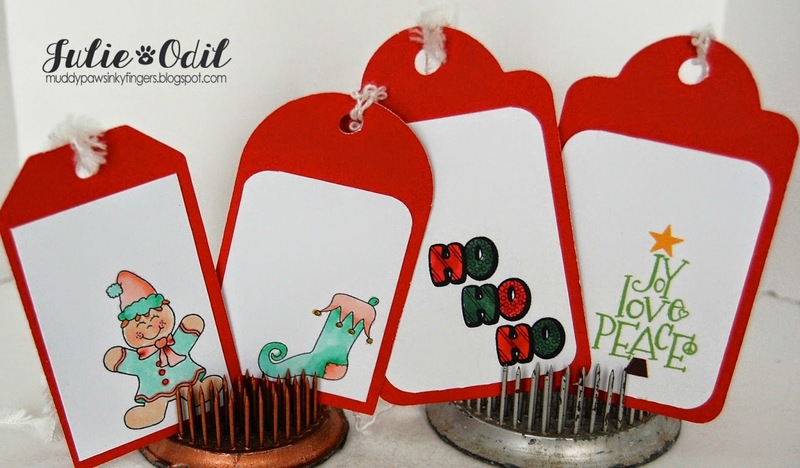 I used Copic markers on each of these tags. I cut the tags out on my Cricut, using the Close To My Heart Art Philosophy cartridge. Four tags, ready to go for Christmas! Enjoy! Thanks to Beth and Thia for BMCCS for the opportunity to guest design today. It's Friday, and not just any Friday, but Black Friday. I, for one, am staying out of the stores. This silver trim is perfect for dressing up a gift for Christmas! I cut this box out on my Cricut. 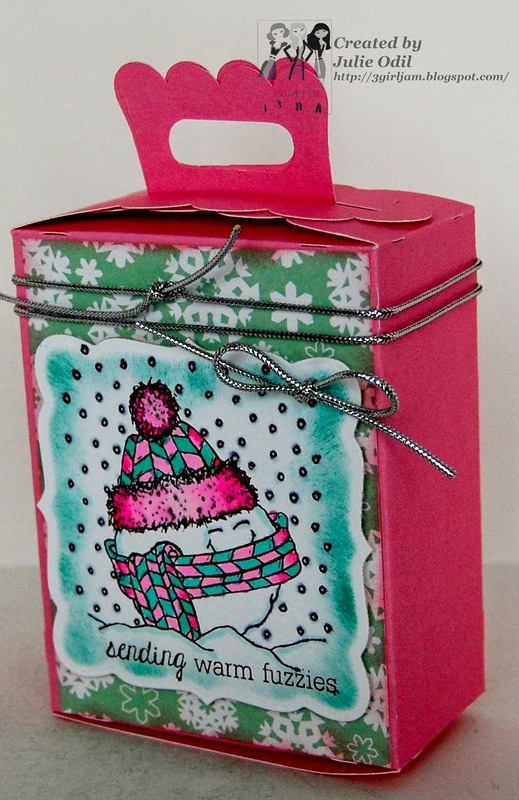 The stamp is from Unity Stamp Co., colored with Copic markers, and inked with Tim Holtz distress inks. I used a Spellbinders die to cut it out. Need some of this Holiday trim for yourself? Use discount code JO10 for 10% off of anything -- and not just on Black Friday, but ANY day! It's Friday, the day after Thanksgiving here in the U.S., and I ate way too much at my 2 feasts yesterday! Today, I will try to recuperate a bit. Since it's Friday, it's time for a new challenge at QKR Stampede. Today's theme is ABC -- Anything But a Card. This digi is from QKR Stampede, of course. 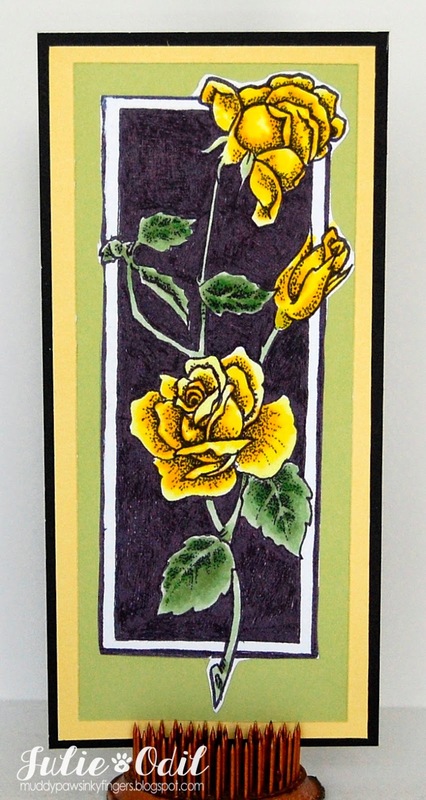 It's called "Rose Border" (digi15411) I colored the roses with Copic markers, and fussy cut the image, then mounted it on 3 different colors of card stock -- all from Close To My Heart. I hope you find time to join us for our ABC challenge this week. You'll have a chance to win some awesome digis from QKR Stampede. Happy Thanksgiving to my American friends. Today, we are celebrating with great quantities of food. And we are celebrating our many blessings. 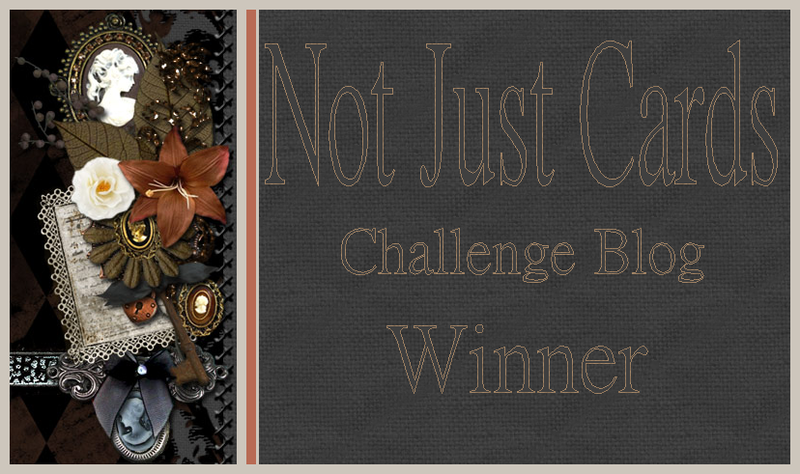 It's also Thursday, and time for a new challenge at the Delightful Challenge blog. 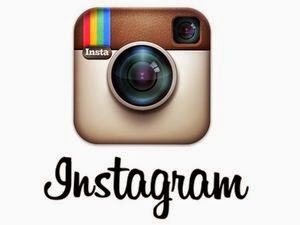 Today, we start our "It's a Kid's World" challenge. How's that for cute? 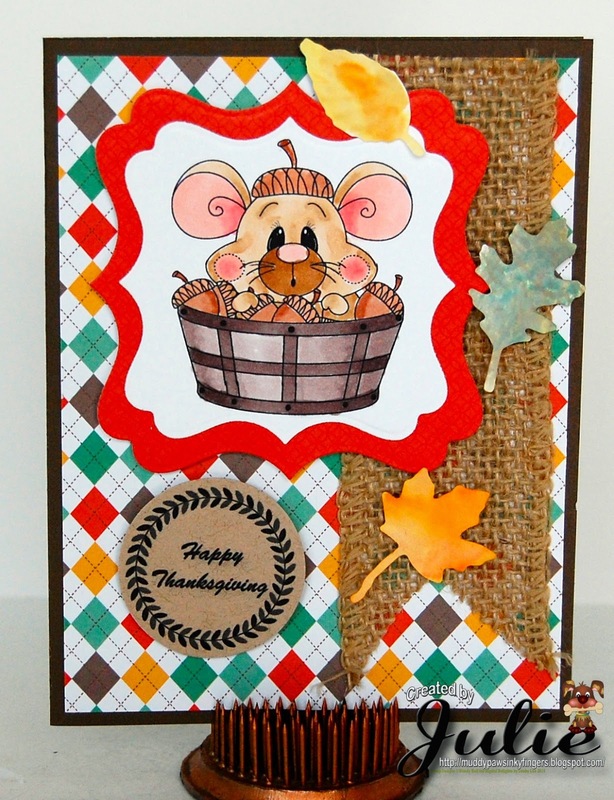 I used a Digital Delights by Louby Loo digi called Acorn Mouse. It is available in uncolored and colored versions. I also used the Count Your Blessings Sentiment Set. I colored Acorn Mouse with Copic markers. He's a cheeky little fella, isn't he? 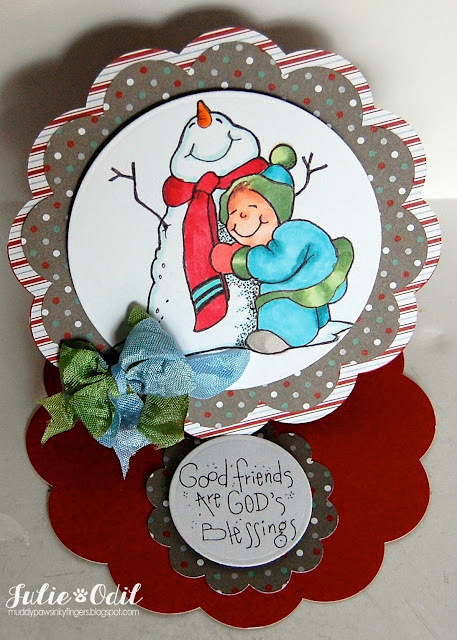 I used several Spellbinder label dies to mount him to my card front. Papers are from Lawn Fawn Sweater Weather 6x6 paper pad. The burlap trim is from Close To My Heart. 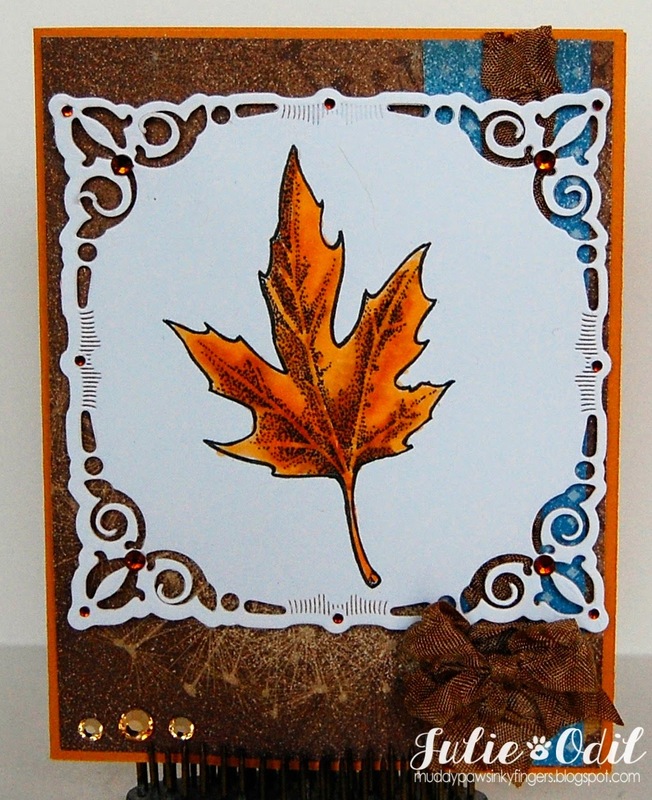 The leaves were cut out using a Tim Holtz Alterations Decorative Strip die -- Autumn Gatherings. I colored the leaves with a variety of Tim Holtz distress inks and water. 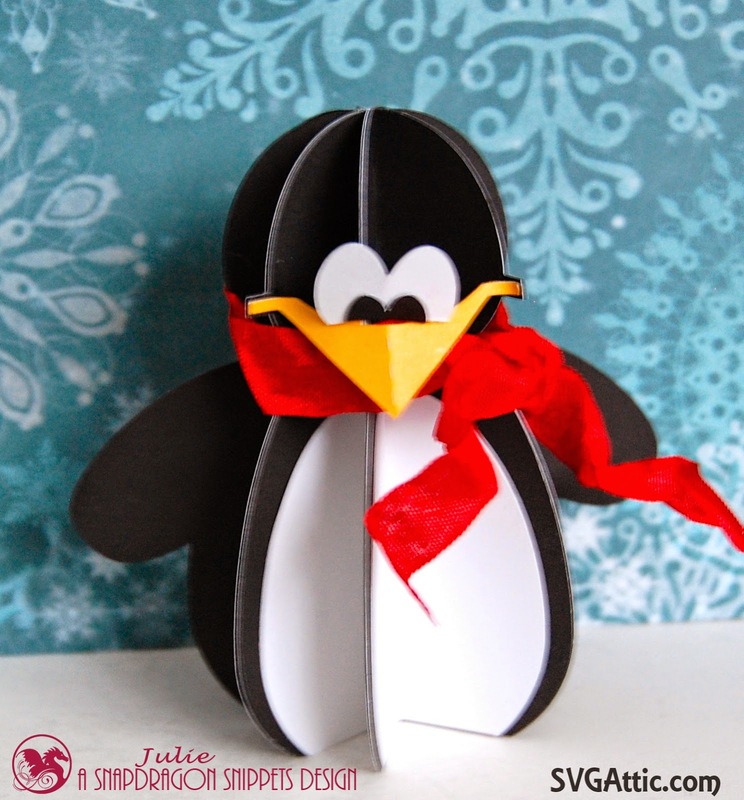 Our sponsor this week is Yours or Mine Paper Crafts. Join us this week for our "It's a Kid's World" challenge. And don't forget to count your blessings! Here it is, Wednesday, and the day before Thanksgiving here in the U.S. I needed a centerpiece for the dinner table, and being crafty, I decided it was best to make it. After all, why buy fruit when you can make it, right? The cornucopia and everything in it is from Snapdragon Snippets. I had such fun with this! There's 3D apples, a 3D pear, and even a 3D pumpkin, all tucked inside a fancy cornucopia all found in the Silhouette Design Store. 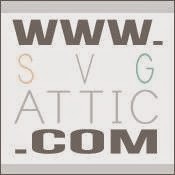 You can also find this in the SVG Attic store here. All papers for this project are from Close To My Heart. 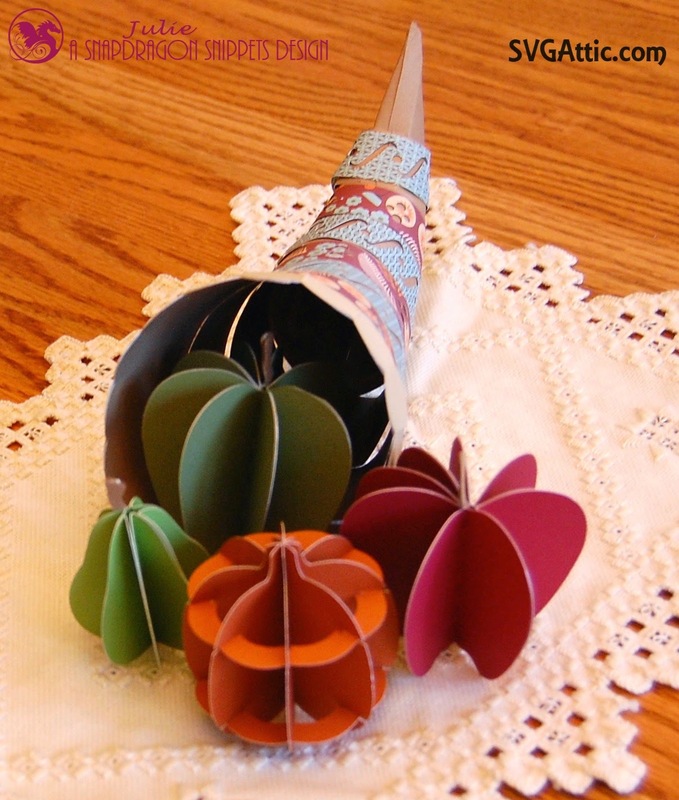 The cornucopia is made out of Kraft and designer paper from the Path Finding paper pack. I cut everything out on my Silhouette Cameo. Make sure to check out the new Snapdragon Snippets store for lots of fun projects. Then, visit the blog for great inspiration from this talented design team. 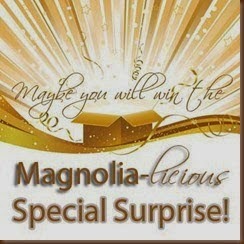 And, check out the Snapdragon Snippets Facebook page, too, for more inspiration, fun, and contests. This Thanksgiving, I'm counting my blessings. And you, are among them! It's Wednesday, and we're starting a new challenge today at DigiStamps4Joy. Our theme for the next two weeks is -- Christmas! Perfect timing! I've got a few more cards to make. 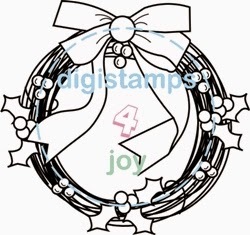 I used the DigiStamps4Joy digi "Christmas Wreath with Bow", and colored it with Copic markers. I added some Stickles glitter glue to the berries and bells. I used 4 different Spellbinders dies on this card. Papers are from Echo Park -- Home for the Holidays 6x6 pack. The glitter paper and glitter trim are from Close To My Heart. The sentiment is also from CTMH. Join us at DigiStamps4Joy for our Christmas challenge, and check out the rest of the great projects from this super talented design team! Dreaming...for Amy Doodle's Stamp Co. 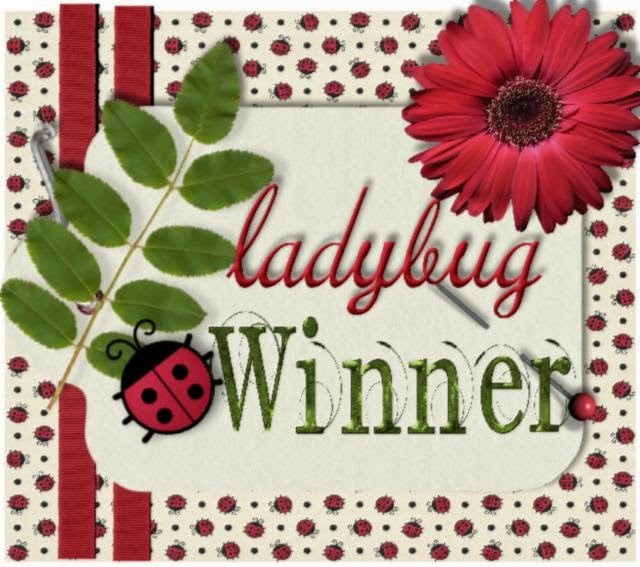 It's Tuesday, and the day I get to share my last creation for Amy Doodle's Stamp Company. This week, it's all about Cheeky Birds. And, I have one for you! This is the "Winter Bird" stamp set. It comes with the bird and some sentiments. I colored the image with Copic markers, using lots of reds on the bird: R24, R27, R29, R39, R59, C0. Beak -- YR12, YR14 Berries are R32, R35, R37. Branch -- E53, E55. C00 -- snow. Designer papers are from Echo Park -- Home for the Holidays 12x12 Collection. I used several different Spellbinders dies. I've had the metallic paper for a long time and don't know where I got it. Michael's? Paper Wishes? I'm not sure, and there's no label on it. The glitter trim is from Close To My Heart. The crinkle ribbon is from 3 Girl JAM. It is from the Red, White, and Blue Bundle. 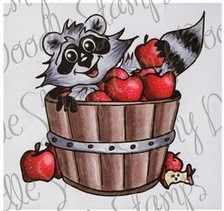 Check out the Amy Doodle Stamp Co Facebook page for more inspiration and fun! It's Monday, and my sweetie is back at work. He packs his lunch every morning. Now and then, I like to put a little surprise in for him, just so he knows I'm thinking of him. 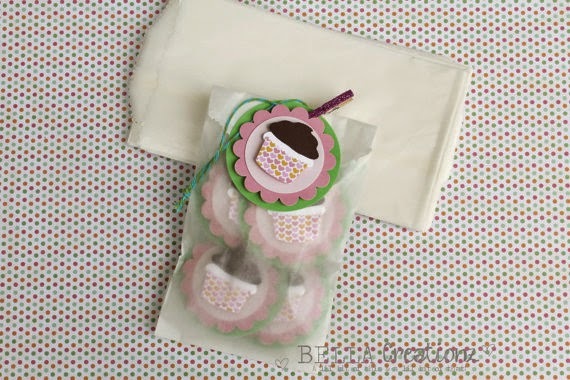 Bella Creationz and Timeless Twine have lots of bags and containers to make this very easy to do. This small glassine bag (3x5 1/2) was the perfect size for a package of cookies and a small bag of candy. Then, all I needed to do was decorate it up a bit. The Plan Nerd 2 stamp set was just what I needed. A bit of imagination, a bit of stamping, and I had a love letter for my hubby. 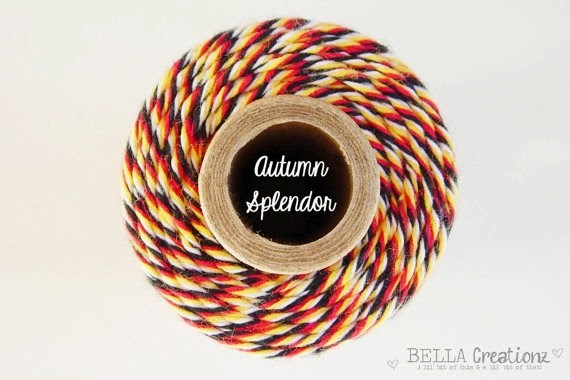 I wrapped the bag with Autumn Splendor (on SALE for $4.50!) Timeless Twine. 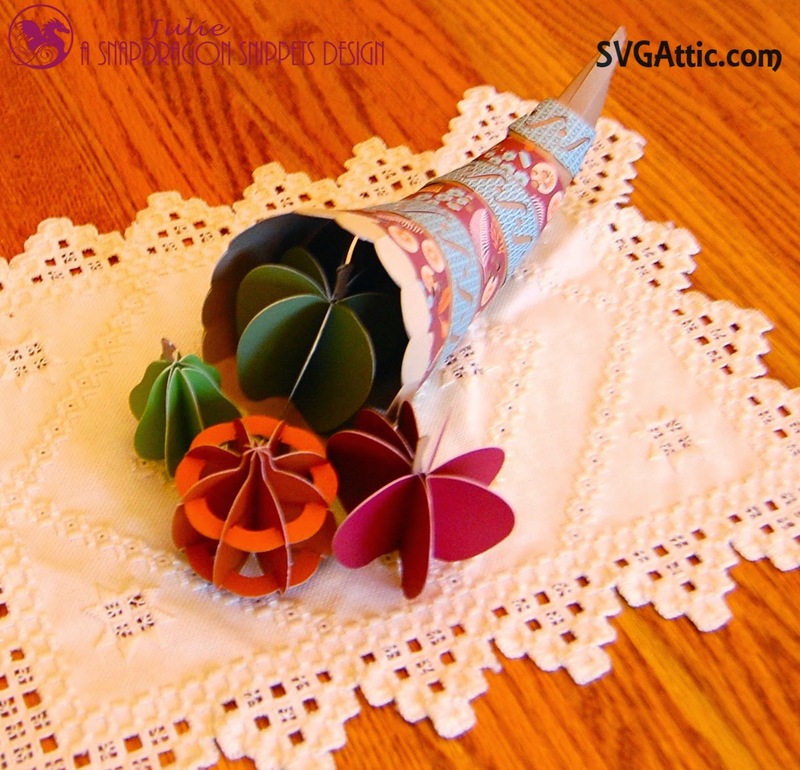 The burlap flower is from Pinque Peacock. I didn't want anything too "girly". After all, it's in my husband's lunch today! Check out the Timeless Twine blog each day for tons of inspiration. I know I do! It's Monday, and time for a new challenge at Eureka Stamps. This week, our theme is "non-traditional Christmas colors". Being a dog person, I found the perfect digi stamp in the Eureka store to use on today's card. I used 2 digis from the Eureka Store -- the image is Dog Pile (digi17703). The sentiment is Christmas Love (digi22605). I colored the image with Copic markers. 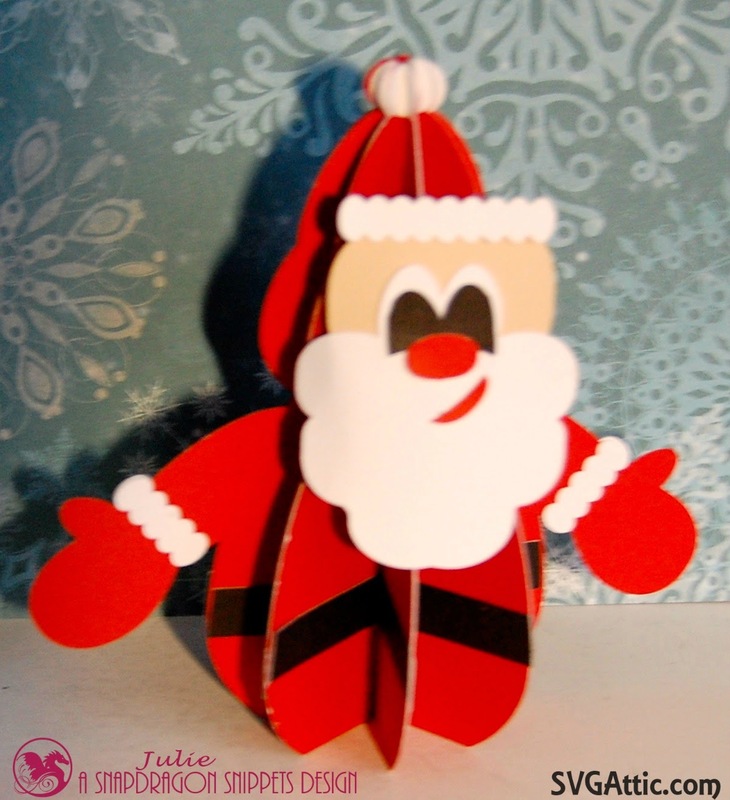 The non-traditional Christmas papers I used are from Kaiser Craft - the Christmas Carnival 6x6 Collection. The card stock base is Pixie Close To My Heart paper. The glitter bling is also from CTMH. 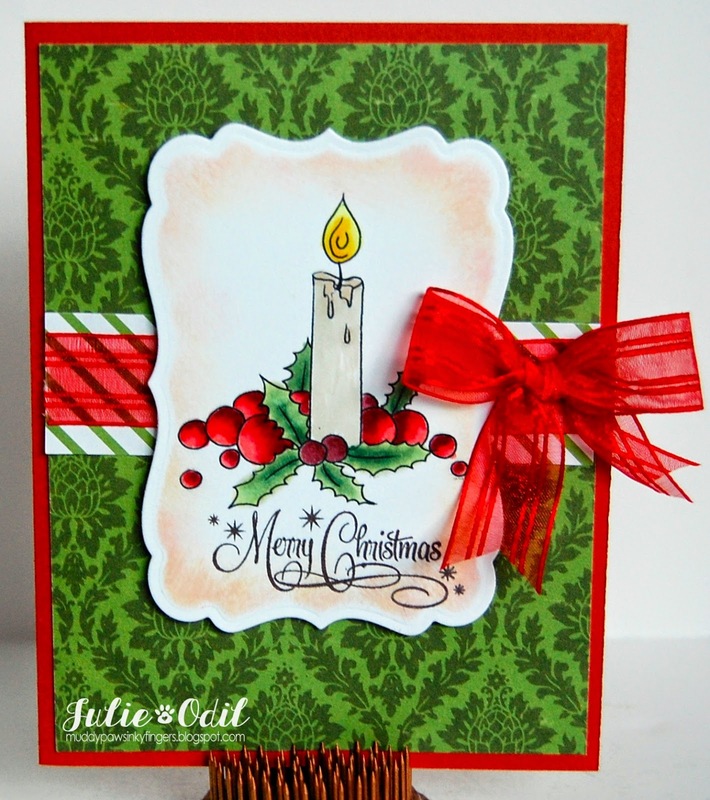 Join us this week at Eureka Stamps for our Non-traditional Christmas Colors challenge. It's a fun one! It's Sunday, which means there are new releases at DigiStamps4Joy. Again this week, there are great new digis to have fun with, and incredible inspiration for the talented design team! I used Sunshine Set on this card. 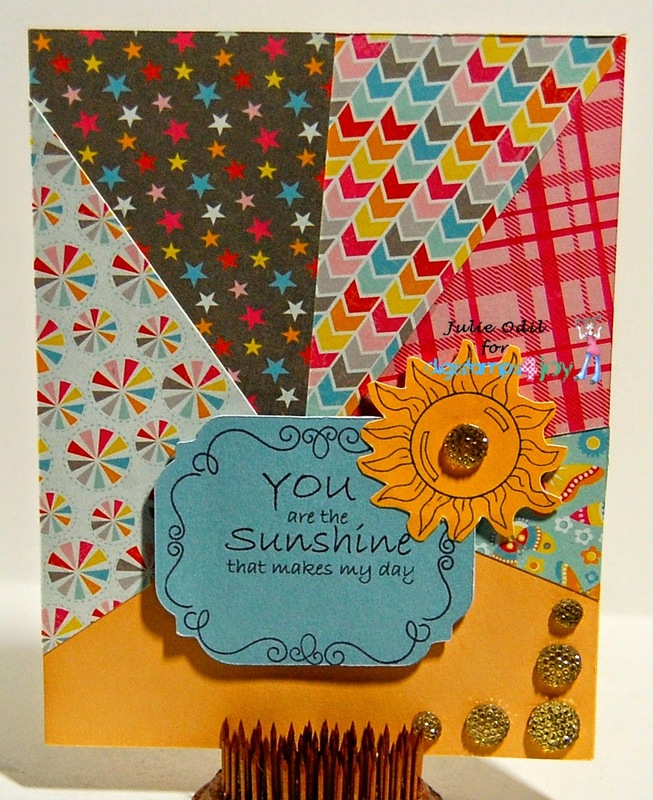 It comes with 4 suns and 3 sentiments -- lots of possibilities! I used My Mind's Eye My Girl 6x6 designer papers and Close To My Heart card stock for the base. The bling gems are also from Close To My Heart. I used are CTMH Cricut cartridge to cut the label shape (Artfully Sent). The doodles around the label are a stamp that comes with the cartridge. This card was so much fun to create, with this wonderful new release. I've got other ideas bouncing around -- gotta get going! 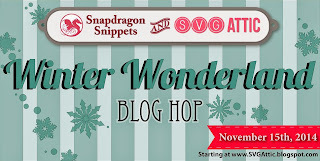 Don't forget to check out the other great inspiration on the DigiStamps4Joy blog today. You won't be disappointed! I used the QKR Stampede digi called, simply, LEAF (digi3901). I colored it with Copic markers, and used a couple Spellbinders dies to cut it out. The background paper is retired Close To My Heart. The crinkle ribbon is from 3 Girl JAM. I added rhinestone bling here and there around the card. It is from Close To My Heart. Use your bling, and enter our challenge this week at QKR Stampede. 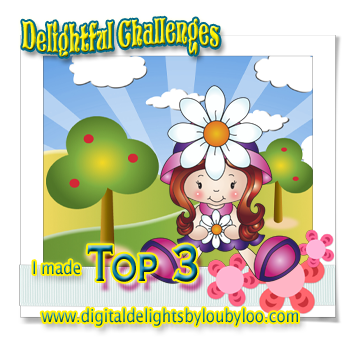 It's Thursday, and time for a new challenge at Delightful Challenges. This week's theme is "You're a Gem" (add bling). I have a particularly adorable image to work with this week! 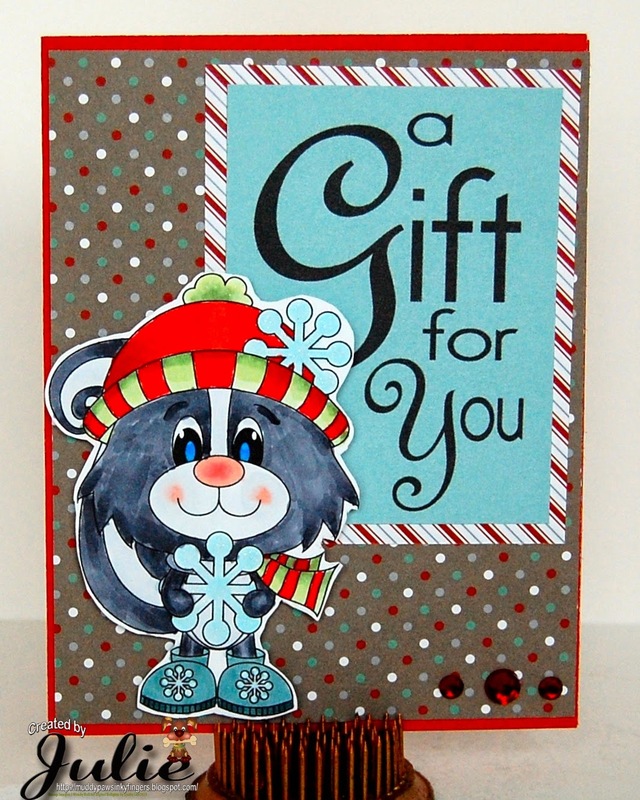 I used Snowflake Sweeney, a digi stamp from Digital Delights by Louby Loo -- such a cute skunk, isn't he? The image is available in both colored and uncolored versions. I colored it with Copic markers and fussy cut it out. I also used a sentiment from the Magical Winter Sentiment Set. All papers and bling are from Close To My Heart. 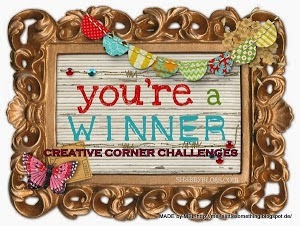 Come join our "You're a Gem" challenge at Delightful Challenges. You have all week! 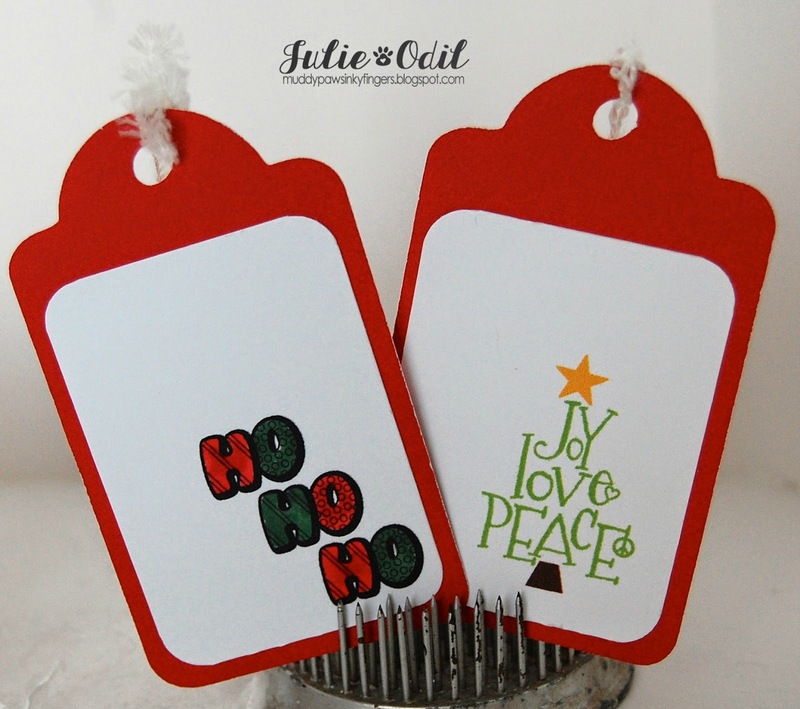 I printed both tags on Kraft card stock (from Carta Bella). I highlighted the snowflakes with a gel pen. On the other tag, I used Close To My Heart inks and a water brush for a distressed look. 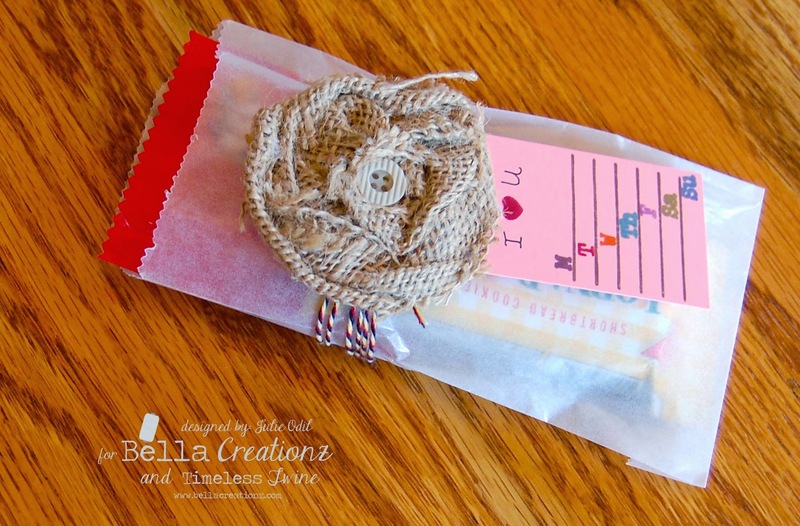 The sentiments are stamps from Close To My Heart, as are the fibers. 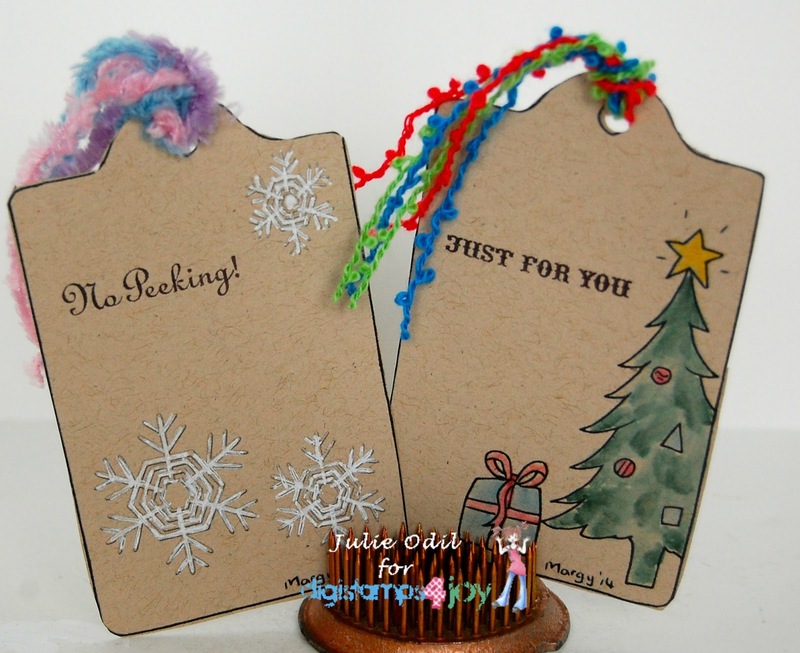 And, just like that, I have a couple tags ready for gifts! Yeehaw! It's getting close to Thanksgiving, so this week's post for The Cutting Cafe is a Thanksgiving themed post. I chose to work with the delightful Turkey shaped card cutting file, from, of course, The Cutting Cafe. Didn't I say he was delightful? This turkey shaped card cutting file comes complete with his own envelope, which is great, as he's quite a large turkey, strutting those wonderful, colorful feathers of his! All papers on this card are from Close To My Heart. The designer papers are from the Path Finder paper pack. 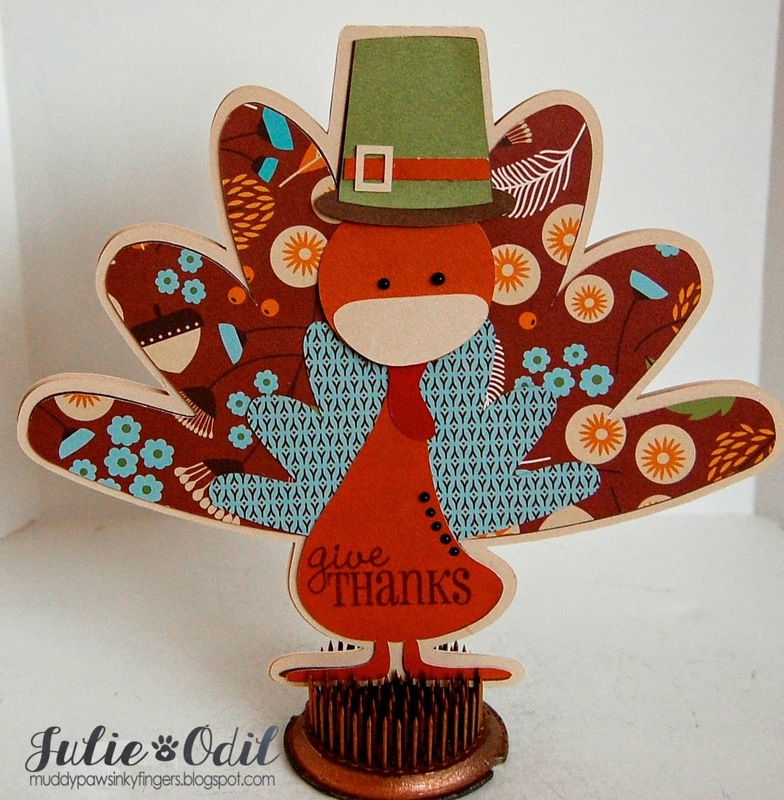 I stamped the "Give Thanks" sentiment, using the It's All Fall Puns stamp set from Joy's Life. A Viva Decor pearl pen added the finishing touches. This holiday, and all year, I'm giving thanks for my many blessings. Just Sayin' Hi! for Amy Doodle's Stamp Co. Happy Tuesday, everyone. 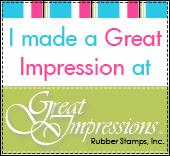 I'm posting today for Amy Doodle's Stamp Company. This week, we're showcasing some adorable, just released Fall images. Yes, it's all about "Fall Fun". I used the digi "Rocky Raccoon." The sentiment is part of the stamp set. I colored the image with Copic markers. Recently, while on a walk, I came across a raccoon that had been killed by a car. I was surprised by how much red was in the fur. I decided to use that red fur and run with it, and make a red raccoon. He's eating lots of red, red apples. 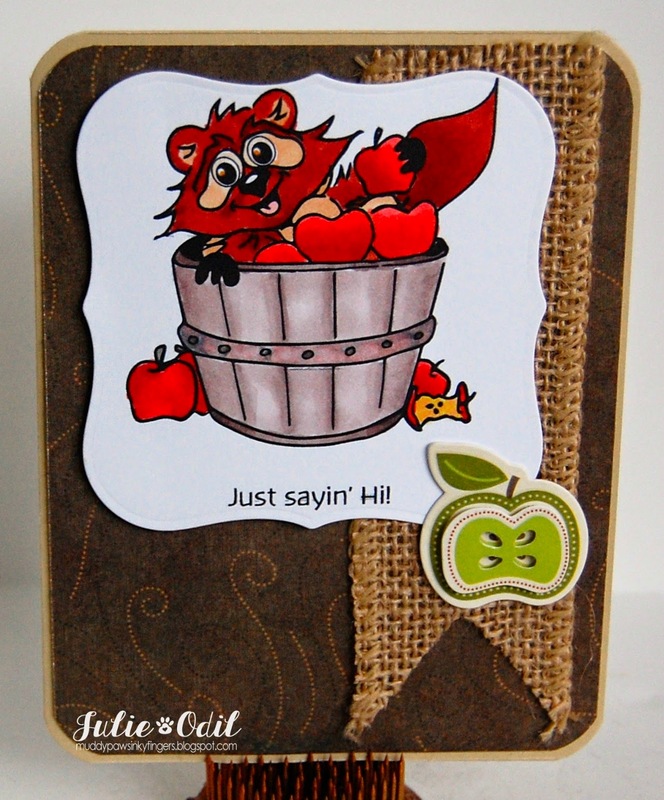 The background paper on this card and the chipboard apple are from Imaginisce. I used a Spellbinder label die on this card, and some burlap ribbon from Close To My Heart. That's it for this little guy. I gotta go make sure he's not stealing my apples! I used the DigiStamps4Joy image, "Diamond Beauties" on this card. I colored it with Copic markers and inked the edges with distress inks. The sentiment was computer generated. I fussy cut the image out and mounted it on designer paper by Close To My Heart. 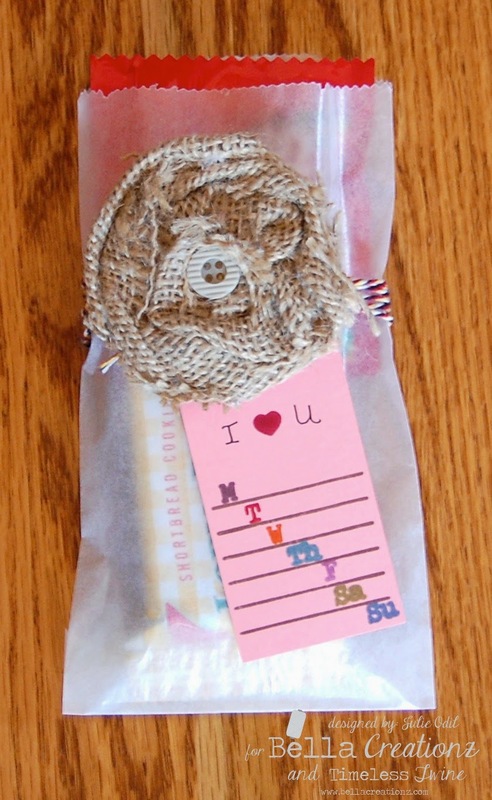 The burlap ribbon and bling are also from CTMH. Gratitude -- I have so much to be thankful for. Every day of my life, I try to remember to thank God for the gifts He has given me. I try to use those gifts to His glory. Each day that I am at work at the nursing home, I am thankful for a job where I feel fulfilled and needed. I am thankful for a husband who loves me and supports this crazy hobby of mine. I thank God for medicine that is helping with the pain and stiffness from RA. I am thankful for my lovely Golden Retriever, Sophie, that brings so much joy to so many people. I could go on and on. I am thankful for many incredible friends. Yes, I give thanks with a grateful heart. 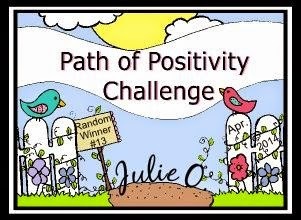 I am also thankful to Lisa and her design team for the opportunity, once again to guest design for the Path of Positivity Challenge blog. 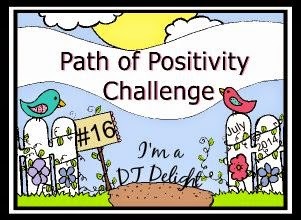 Come join the Grateful Challenge at the Path of Positivity Challenge blog. 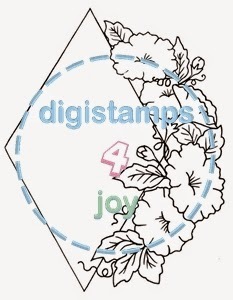 There are many great images at DigiStamps4Joy if you need some inspiration. 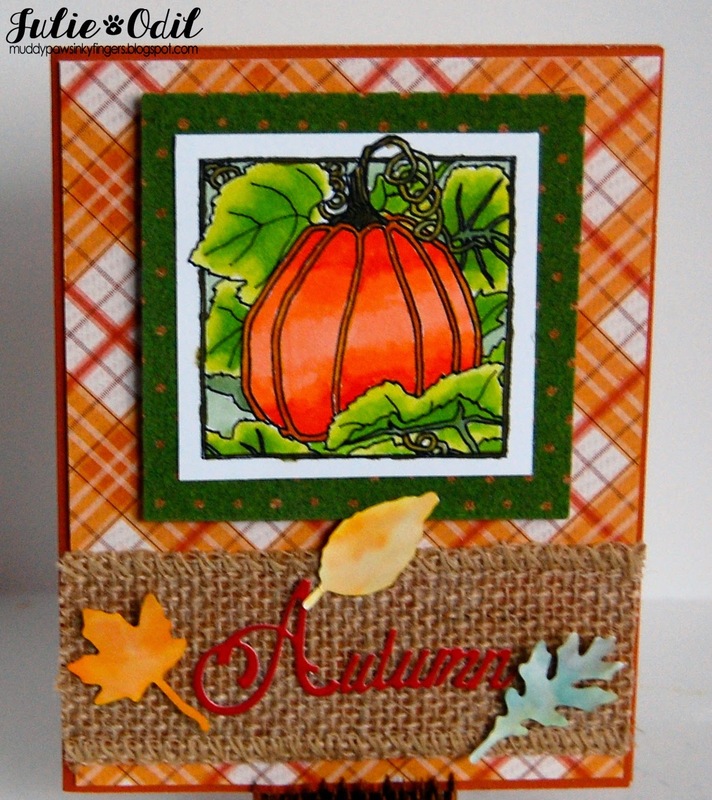 I used Eureka Stamps digi "Pumpkin Square" digi26703(530). I colored it with Copic markers, fussy cut it, then mounted it on a piece of DCWV cork. The DP is also DCWV. This is some paper I won earlier this fall, and I've enjoyed it very much! The leaves are from a Tim Holtz die. I cut out a bunch of them, then used various Tim Holtz distress inks and water on them. 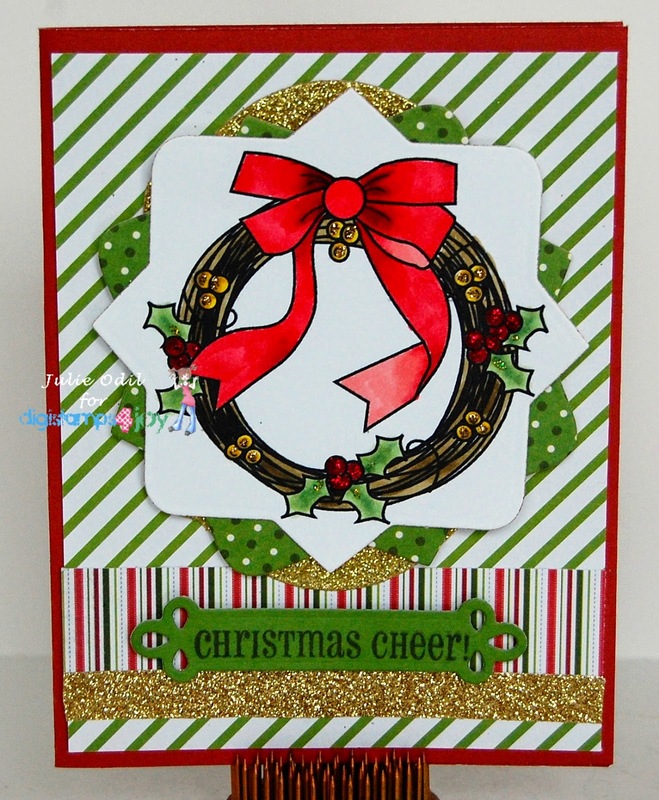 The sentiment is a die cut from Carta Bella. I mounted it on burlap ribbon from Close To My Heart. Lots of texture on this card! Give thanks this week (and every week) with your creations, and link them up with us at Eureka Stamps. Today is my last post for the Whoopsi Daisy design team. Linnie has made the decision to close her digi shop and only sell CD's. She lives in England. I live in the U.S. It didn't seem sensible, postage-wise, to stay on the team, but I enjoyed my months with her girls very much! 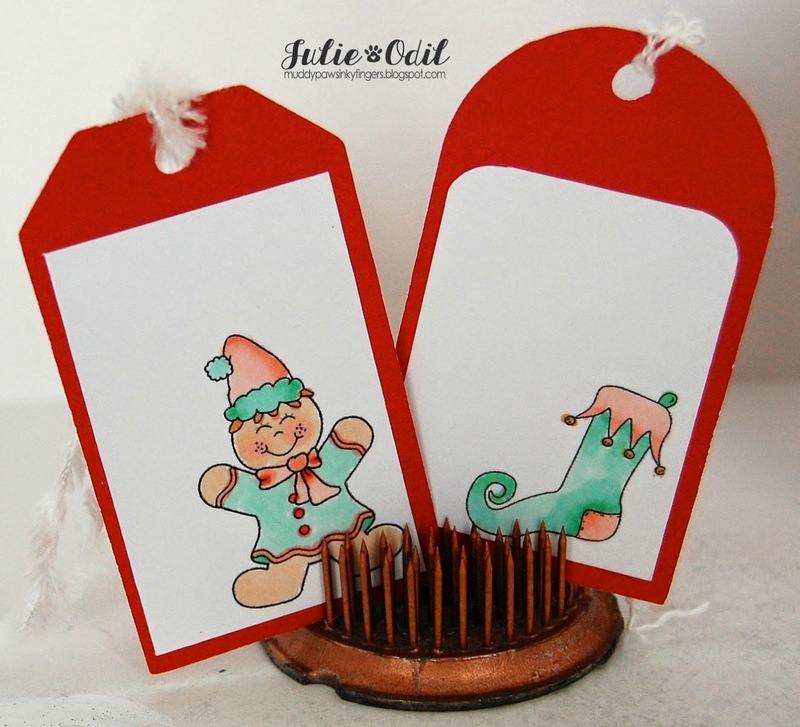 This week's challenge is to make an ATC. I don't make these very often, but when I do, I thoroughly enjoy the experience. The Whoopsi Daisy image is pre-printed. She's so small, I decided I didn't want to try to color her -- I didn't think I'd stay in the lines. 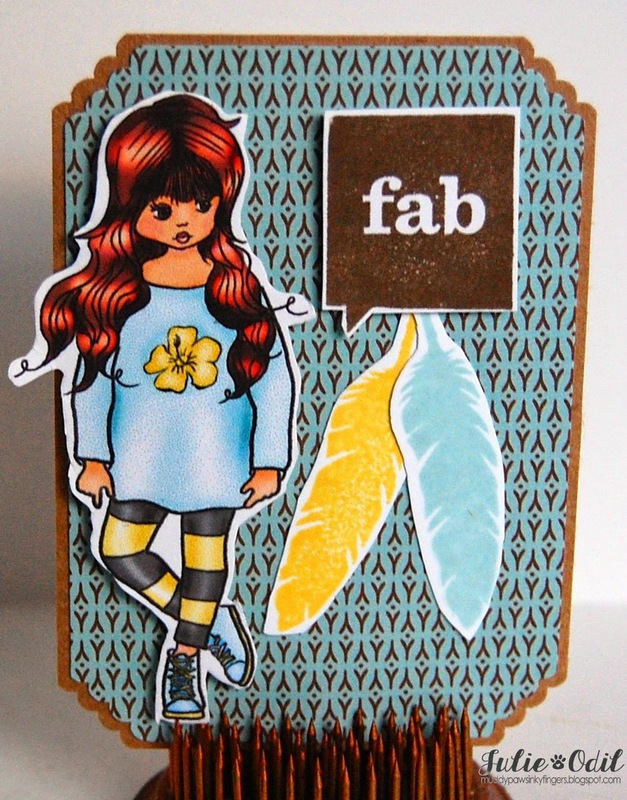 The sentiment and feathers are stamps from Close To My Heart. The papers used on this ATC are also from CTMH. I thought they were a good match for the Fab girl. I used a We R Memory Keepers Cloud Corner Chomper on the ATC portion of this. come join the ATC challenge at Whoopsi Daisy challenges. And, once again, I'd like to thank Linnie, Avril, and the rest of the lovely ladies on the team for a great experience. 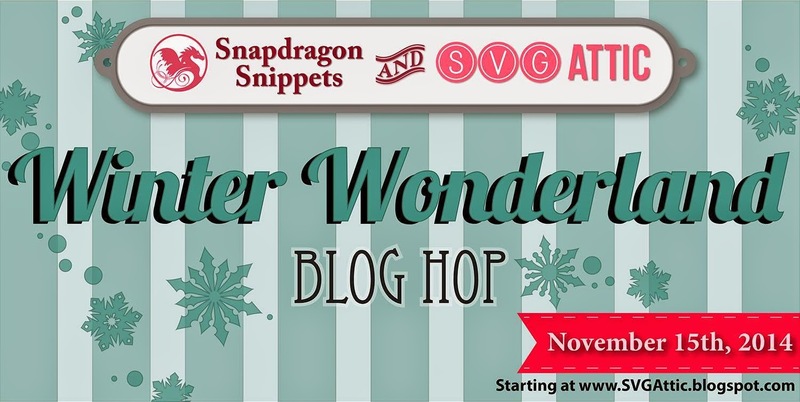 Welcome to the SVG Attic-SnapDragon Snippets Winter Wonderland blog hop! We are so excited to have you join us today! These 3D characters are all from Snapdragon Snippets. You can find them in the Silhouette Design Store. I think these 2 are so cute side-by-side! 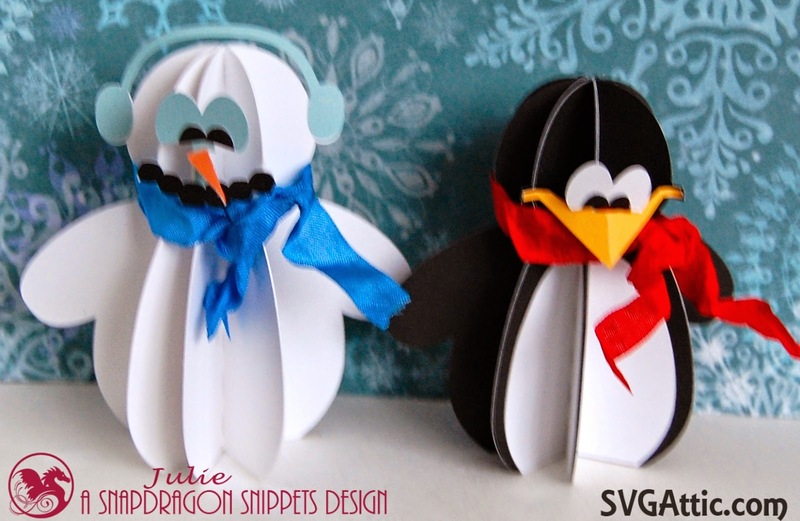 I used my Silhouette Cameo to create all 3 of these 3D winter characters. All papers are from Close To My Heart. The ribbon "scarves" are from 3 Girl JAM. Leave me a comment on which one is your favorite. I'd love to hear! 3. If you do both of the above, check back here at the SVG Attic blog and/or the SnapDragon Snippets blog for the winners on Monday, November 17th! You have all day Saturday and Sunday to hop. Woohoo hoo! It's Friday! I'm blessed enough to be sharing on the 3 Girl JAM blog today, and it's also time for a new challenge on the QKR Stampede blog. I'm sharing a card that works for both companies. I don't often combine posts, but this card is just too cute! This week's challenge theme at QKR Stampede is "I'm Thankful For". I'm thankful for many things, and especially my good friends. They get me through a lot! I used 2 QKR Stampede digis on this card: "Good Friends" (digi15808) for the sentiment and "Best Friends" (digi23502) for the image. I colored the image with Copic markers. 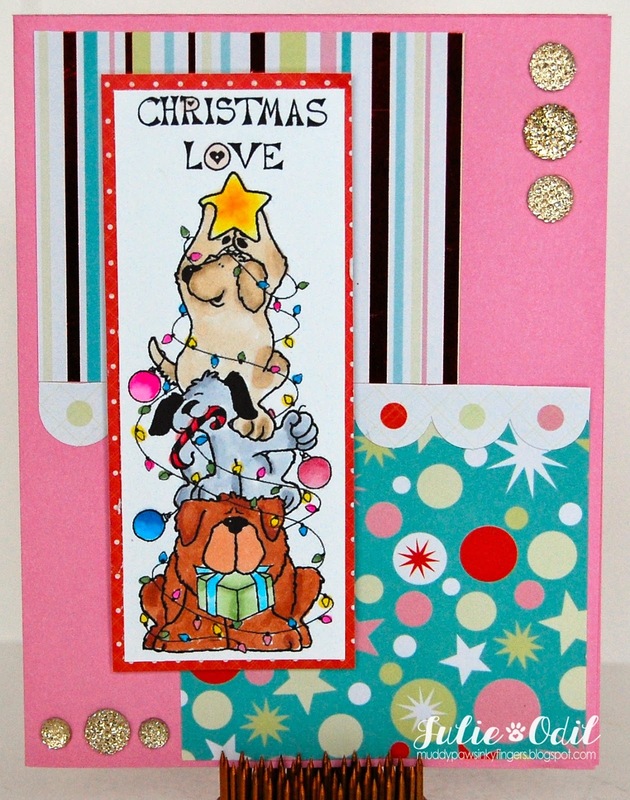 The easel card is from My Scrap Chick. Papers are from Close To My Heart. To me, what really makes the card, is the crinkle ribbon that matches the image perfectly. That is from 3 Girl JAM. I used Goblin Green from the Spooky Bundle and combined it with Ice Blue from the Hot and Cold Bundle. I used my 3 Girl JAM Bow maker to make that double bow. You can buy these products yourself, for a discount, at 3 Girl JAM. Used coupon code JO10 for 10% off of anything in the store. Then, make something pretty and enter it in the "I'm Thankful For" challenge at QKR Stampede. I don't know about you, but it would take me a loooooooong time to count all MY blessings! It's Thursday, and time for a new challenge at Delightful Challenges. This week's theme is simply, "Happy Holidays". 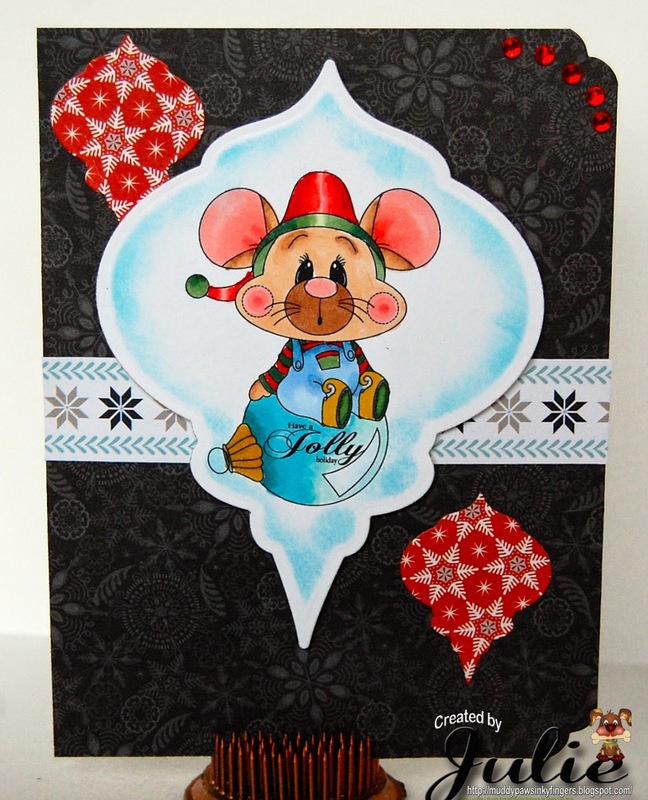 Digital Delights by Louby Loo's Ornament Mouse comes in either a colored or uncolored version. The sentiment is also from Digital Delights from Louby Loo. 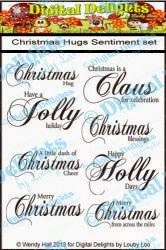 It is the Christmas Hugs Sentiment Set. I placed it inside of the ornament. I colored Ornament Mouse with Copic markers, and cut it out with an ornament shaped Spellbinder die. I inked the edge of the cut out, while still in the die, with several Tim Holtz distress inks. I used the same set of Spellbinders dies to cut out 2 more in a smaller size. 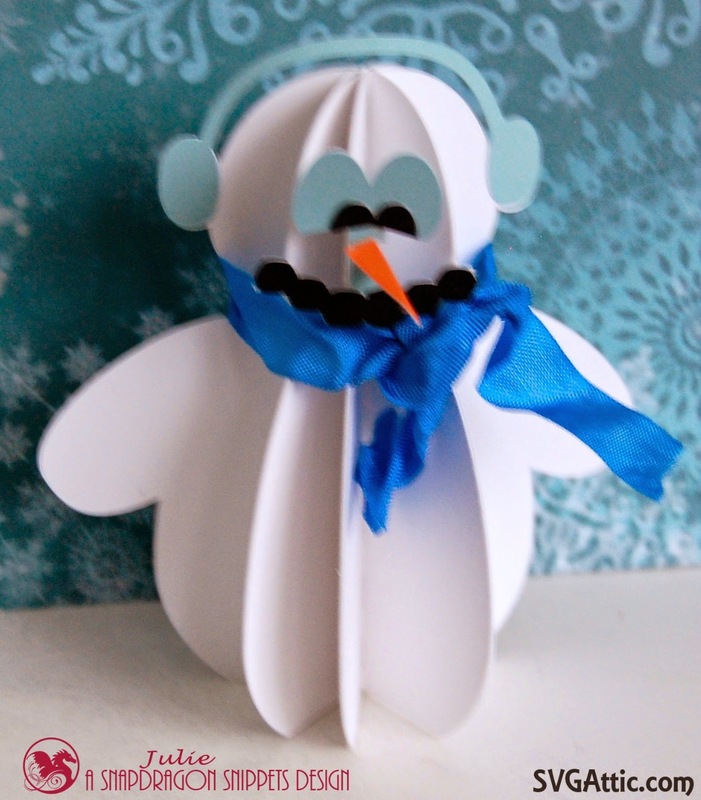 Papers are by Close To My Heart -- the Snowhaven paper pack. I used a We R Memory Keepers Corner Chomper on a couple edges, and added some bling from my stash. The prize is any 3 sets from the store!!!! Come join us for our "Happy Holidays" challenge at Delightful Challenges-- you pick the holiday, then link up here. It's a Snow Day! for Amy Doodle's Stamp Co.
Live Fast and Stay Pretty!